Vitamin C Supplements: Are They Really Vitamin C? Vitamin C is one of the oldest, best studied, and commoditized nutrients in the world. It’s one of the most abundant nutrients in the living kingdom. It was discovered in 1932, manufactured for the first time in 1933, and it’s been smooth sailing since then. But recently Vitamin C supplements have been revitalized. 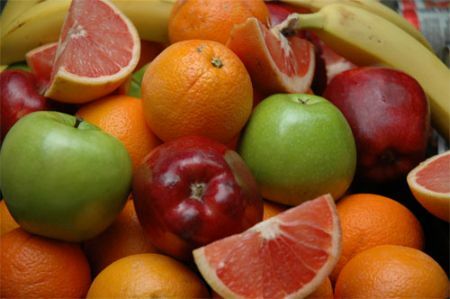 In addition to the ascorbic acid tablets that have been around for years, you can find lots of “truly natural” vitamin C powders that come from fruits like acerola berry and camu camu, two fruits which have extremely high amounts of vitamin C. Dr. Ben Kim and Healthforce are two examples of companies that currently carry this type of product. The idea behind these is that most vitamin C supplements are synthetically manufactured ascorbic acid, whereas these food powders are condensed versions of what you find in nature and come with the accompanying enzymes, phytonutrients, and vitamin complexes that allow vitamin C to be fully absorbed and utilized by the body. They’re also more expensive. A typical bottle of vitamin C pills costs less than $10, whereas a jar of a whole foods vitamin C powder typically will usually cost around $30. Is there really a difference between these two? Under what conditions should you use a vitamin C supplement? Vitamin C is an antioxidant that’s ubiquitous in nature. Most animals make it themselves, and it’s recognized as an irreplaceable enabler for various biological functions. It serves as the building block for various body substances like collagen and other connective tissue, donates electrons in various biochemical reactions (an antioxidant), and is very important for the functioning of different types of cells in your immune system. Contrary to popular opinion, it doesn’t help the common cold. But insufficient amounts of vitamin C will almost certainly leave your immune system lacking. Are Vitamin C Supplements Truly Vitamin C? When you pop a pill of vitamin C you’re digesting a compound that’s formally known as L-ascorbic acid. The L-ascorbic acid in a vitamin C pill is exactly the same as the vitamin C you find in an orange. Exactly. The 100% similarity of these two compounds is proven beyond the shadow of a doubt, and in my opinion, is not subject to debate. Someone trying to argue otherwise is a quack. Unlike vitamin A or some other nutrients, vitamin C is about as non-toxic a substance as something can possibly be. It dissolves in water and your body is extremely efficient at getting rid of it when you take in more than you need. As far as the ascorbic acid you eat in food and the ascorbic acid you get in a pill, if you isolate them both they’ll do the same things in your body. They’ll be absorbed the same way, be excreted the same way, and perform the same functions. There are about a dozen different varieties of the traditional vitamin C supplement, but they all boil down to the same thing. Some will advertise that they’re mixed with bioflavanoids, rose hips, or acerola……but they are synthetic isolates with some of these items added in towards the end of the manufacturing process. The only difference is some will be made with an ion like calcium, which makes them less acidic. In general you can say these supplements are very safe, probably a tad helpful, but questions remain about whether or not they’re “optimal” for human consumption. The thinking behind food based vitamin C supplements like camu camu or acerola berry powder is that the vitamin C in food comes complexed with a variety of other compounds that work together to exert their influence. This line of thinking is sound, but admittedly there’s very little evidence one way or the other about the efficacy of these types of products. The basic argument is valid, but the health blogosphere is remarkably terse on this subject. There are only a few decent articles, and nothing that’s well cited. Most of the stuff you read basically regurgitates the same points over and over again. To my disappointment poring over foundational scientific literature doesn’t provide a lot of additional insight. I tried to look and I couldn’t find anything conclusive about the medicinal differences between taking fresh oranges and taking a vitamin C pill. This is a randomized control trial that’s just begging to be initiated. If anyone knows of studies on this topic please illuminate in the comments section. The issue is further complicated by the fact that vitamin C is volatile, and doesn’t survive heat very well. Numerous studies have shown that the vitamin C in various food products can vary by as much as 60% depending on the food source and temperature controls used throughout the distribution process. For this reason vitamin C is always best when consumed fresh. Always. However, I believe the reasoning behind a “foods based” vitamin C powder is sound, if we can accept that their supremacy is far from set in stone at this point. Who Should Take a Vitamin C Supplement? Vitamin C is found in abundant quantities in most fruits and vegetables. If you eat even a smidgeon of green foods on a regular basis you’ll likely have enough to get by. Vitamin C is almost entirely harmless and there’s no real danger of experiencing negative side effects if consumed in large quantities. It’s true that you can experience nausea, diarrhea, or cramps if you consume very large amounts, but the bulk quantity you’d need to experience this is simply astronomical for most people. For a while there was this notion that taking extremely high doses of vitamin C was useful for general health and people doing intense cardio exercise, but time and acquired wisdom has rendered this disposition as nonsense. The idea was popularized by the famous scientist Linus Pauling, who trumpeted the heavy use of supplementation as a way to treat disease. He supposedly took 3,000 mg a day in two hour intervals, and made claims that it could be used to cure cancer. The latter point might have some truth in unique circumstances, but by and large the notion of “turbo dosing” on vitamin C is dumb. The fact that a scientist as distinguished as Mr. Pauling would put his reputation on the line supporting such an absurd notion is a great example of how even extremely intelligent people can have their views warped by confirmation bias and their own ego. Most people need about 75-90mg/day of vitamin C a day, and you can probably digest up to 10x that amount easily with little to no side effects, although it’s very murky on whether or not this will do anything useful for you. Whole Food Vitamin C: Should You or Shouldn’t You? I personally don’t consider a whole food vitamin C powder an “essential” supplement for normal, active people. For most there’s not a pressing need to get it beyond the amount you get from your daily salad or fruit bowl. However, I’m open to the idea that someone undergoing intense health issues or rehabilitation from sickness would benefit from taking one of these powders. They are certainly no worse than their less expensive alternatives, and probably superior, particularly for people who might have digestive issues and thus have difficulty absorbing nutrients. Insulin resistant people generally absorb less of their nutrients than those with poorly functioning endocrine systems, and many of these people would benefit from a product like Dr. Ben Kim’s truly Natural Vitamin C over a generic product. However, the difference between the two is likely not as large as many might like to expound. to take when I can’t find Organic oranges. Thanks JVD. Glad you’ve had success with these types of supplements. Typically I think people are suspicious of one supplement or another because they don’t trust the claims and are skeptical of whether or not the supplement will work for them. So first hand stories are always good to hear. The article that “pay attention to” quoted from (very interesting!) says that Mr. Francis sought the best Vit. C he could find which is from potatoes & they offer it in powder or tablets. Yet the label for their Vit, C powder does not say potatoes. And the additional ingredients, the way they are listed, wouldn’t that mean they are “isolates”? Vitamin C and ascorbic acid (synthetic) are molecularly identical, but the purpose of it is to act as an antioxidant barrier that protects bioavailable components during their journey through the digestive tract. These bioflavonoids inside the ascorbic acid are what actually do the work of repairing cells, interacting with other nutrients to create energy, etc. So the real argument about vitamin C and ascorbic acid shouldn’t be focused on the difference of the outer shell. It’s really about this; what’s the point of taking it, if it’s empty? It’s not transporting anything, and by itself it does nothing. That’s like buying a bunch of empty boxes at the store with no food in them. Yeah I have cheerios cause it says so on the box. But inside, there’s no cereal. Get it?